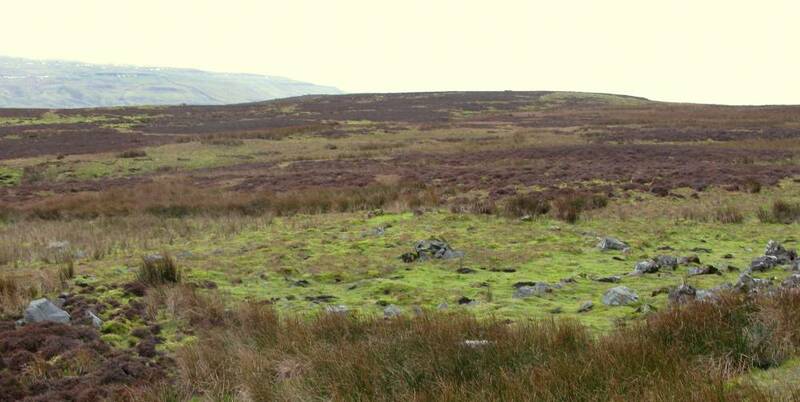 Record Description A well defined, ovoid, stone setting approx 20m x 10m with central cairn and two short lengths of walling. 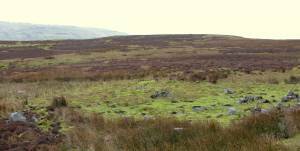 Associated with the moorland field system, of probable funerary purpose and attributed to the late Bronze Age/ early Iron age periods. The site is immediately below the much later mine level and spoil heap.